As much as I try to resist, the MAC bug has bitten me. I blame all you other beauty obsessives out there, talking about the pretty colours and ‘Limited Editions’, making me want them – don’t you know I have no self control! 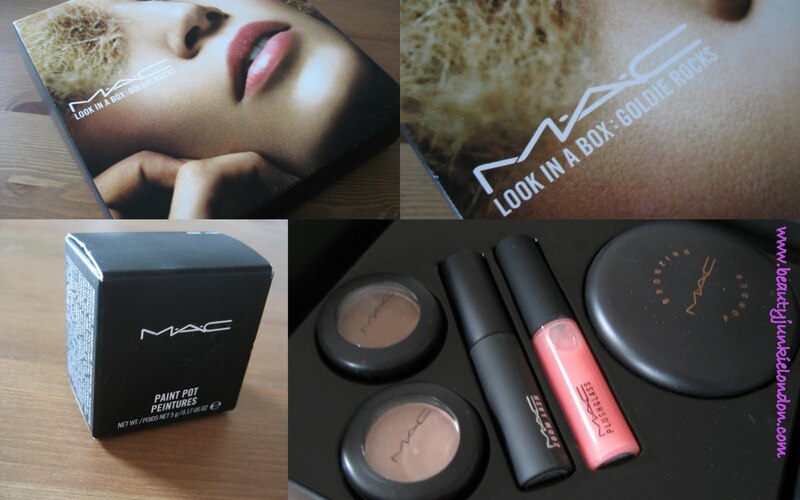 But as much as I like certain bits from MAC, I actually do have the power to resist at times – not everything from the brand impresses me and I wouldn’t all it my favorite. But all that aside, I do now have to admit, I can no longer really call myself a MAC newbie. I decided to get this set because it contained the lip gloss I was considering anyway and the set cost around £26 – it does contain Naked Lunch which I already have, but love (so may keep it as a back up, or possibly include it in a giveaway) – overall a pretty good bargain when you work out that just the two shadows and lip gloss individually would cost more than the whole set. So, there we have my airport purchases. I haven’t actually used them yet, but wanted to share the bargain with you – to give you a heads up for what to look for if you are heading through an airport anytime soon. If you are getting a bit of duty-free retail therapy, what do you like to pick up? What’s your best airport bargain? I was also extremely tempted by the Bobbie Brown stand, but will be at an airport again in a few weeks so I decided it could wait. I bought these myself. All reviews are honest. love the colour of “fulfilled.” those are great buys! is there any makeup brand you swear by? or do you just use a mish mash of items from different brands? i’m curious to know since a lot of makeup enthusiasts seem to be addicted to MAC. I’m pretty fickle when it comes to make-up and do tend to switch between various brands. But I do sometimes find I have favorite brands for certain products, for example – I love Revlon nail varnish and lipgloss, Rimmel eyeliner, Bourjois Blusher, Max Factor mascara… but generally just like to try everything so don’t stay loyal to any particular brand. Although with MAC, I do really like buying stuff from there – but I mostly blame the internet hype for that. My favorite products from them are the eyeshadows – I love the variety of colours. I’m still in the process of filling my pro palette so planning to limit myself to just pro pans from MAC for a while. I agree about MAC, I do love a lot of their products (namely eyeshadows and blushes) but I’ve been unimpressed with some of their other stuff, and also the way they believe their own hype sometimes! Bronze is a great colour for blue eyes and Naked Lunch is my everyday staple, so this set sounds like a great find!